The Mythos is quite a popular property these days. You can’t swing a betenticled limb on your corrupted body without hitting a game that has drawn inspiration from H.P. Lovecraft’s iconic horror setting. Some play it straight, some go for laughs, some are grounded in the period, and some take the ideas into the future. Needless to say, gamers love these stories, and they are constantly being told over and over again to appease our visceral need to feel fear. 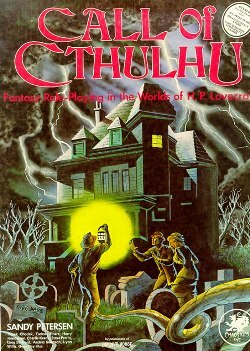 Call of Cthulhu, by Chaosium Inc., is the eldest of these elder gods, released all the way back in 1981. D&D had dabbled in the cyclopean horrors a year prior, but due to a dispute over rights, those select monsters were removed after the (now highly coveted) Deities & Demigods 1st Edition original print run. But, when most people think roleplaying and Lovecraft, they are likely thinking of Call of Cthulhu. 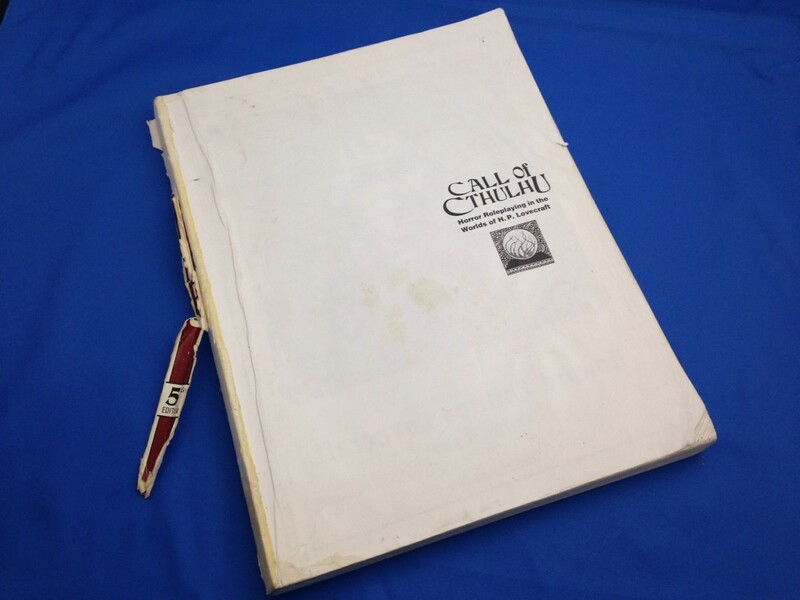 Call of Cthulhu has seen many iterations since its boxed, 1st Edition release. 5th Edition was “my edition,” as you can see by my beloved copy pictured below. But, we are currently in the age of 7th Edition, the product of a wildly successful Kickstarter campaign (1405% successful, raising $561,836) run by Chaosium in June of 2013. When was the new edition supposed to ship to backers? October… of 2013. It’s safe to assume that they underestimated their production needs or were victims of their own success. Regardless, we’ve got this modest release to tide us over. Do you want to know a way to get me to buy pretty much any book? Put an Elder Thing on the cover! (You know what I mean. Get your mind out of the gutter.) The Elder Things are one of Lovecraft’s iconic monsters. Discovered by researchers on an Antarctic expedition, these star-born genetic engineers and the horrors they created on pre-cambrian earth are the focal point in the legendary tale “At the Mountains of Madness.” It’s not my favorite story from H.P., but I rank it highly. Though I find the cover intriguing, the Call of Cthulhu 7th Edition Quick-Start Rules rulebook is, over all, a rather Spartan affair. It’s a 41 page, perfect bound, black-and-white book. There are some nice pieces of art on the inside; the font choice, size, and the standard, two-column layout are plain but effective. It’s like that beat-up station wagon you drove in high school; it will get you where you need to go, but you’re not going in style. A lot of what you would expect in a quick-start is present here. The book begins with an introduction and overview of the game. This includes the classic “Never Played a Roleplaying Game Before Section.” Though thankfully it is concise. The actual rules span pages 5 through 18. Having experience with 5th Edition, I was impressed with how Chaosium was able to compress the core of the rules into such a small page count. 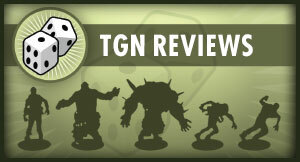 The rules include character creation, which is one thing that elevates this product above many quick-start rules sets. The Dungeons & Dragons Starter Set (for example) costs twice as much and still only utilizes pre-generated characters. Being able to make up my own characters was a significant positive. Two rules that were new to me were the “Push” and “Bonus and Penalty Dice.” When a character fails a roll, if they can justify it, they can Push the roll. This represents escalating the situation. It grants the player a re-roll, but if they fail, they suffer a “significant consequence.” For example, Pushing a social interaction to intimidate a local vagabond for information might end in a fight if you fail. Bonus and Penalty Dice are granted “under certain conditions” by the game master (GM). This will occur whenever circumstances would either benefit or hinder the player. Call of Cthulhu is a percentile system and utilizes 2 d10 dice to generate numbers 1% to 100%. Rolling lower is generally better. In these situations, the player will roll an extra “tens” d10 and take either the best (Bonus) or the worst (Penalty). This is very similar to the Advantage/Disadvantage mechanic in 5th Edition Dungeons & Dragons. These situational rules are necessarily vague and their implementation relies on GM discretion. I personally don’t mind that, but your GM will need to think carefully about a situation and utilize their judgment when implementing them. What is the one thing you would expect to see in a Call of Cthulhu rulebook? Sanity rules, of course! The sanity system is a core concept in the game, and loss of sanity plays into the overarching theme in almost all stories of the Mythos. Knowing the unknowable is dangerous. Well, the sanity rules are there... kind of. The way a sanity score is derived and how to take a Sanity Test are present, but the types of insanities and their corresponding rules are not. What? How could this be? Luckily, there is a Bouts of Madness table. It is tucked away in the included adventure. This can be used as a stop-gap for your first few sessions. The adventure itself is quite good. I don’t want to give away too much, as I would not want to spoil it for players, but I’ll give you a quick synopsis. A Boston landlord has purchased the old Corbitt House. The landlord’s first tenets have been driven from the home under mysterious circumstances, and you have been asked/hired to investigate it. The adventure is detailed, with lots of great locations for investigation. There are a number of GM sidebars that will help coach new GMs through the adventure. Veterans will probably not need these, but quick-start products are generally geared towards new players. The player hand-outs are a bit lackluster. There are no creative fonts or stylistic flairs. They’re just text in boxes (and one picture). The relationship between the cover and the adventure annoyed me. There isn’t one. It’s a solid adventure, but I was hoping that it would have something to do with the cover. It doesn’t. I don’t want to call it a bait-and-switch. Elder Things are iconic Lovecraft, so the cover fits in the sense that “this image fits a general Cthulhu adventure.” I just wish the cover related to the story presented within. 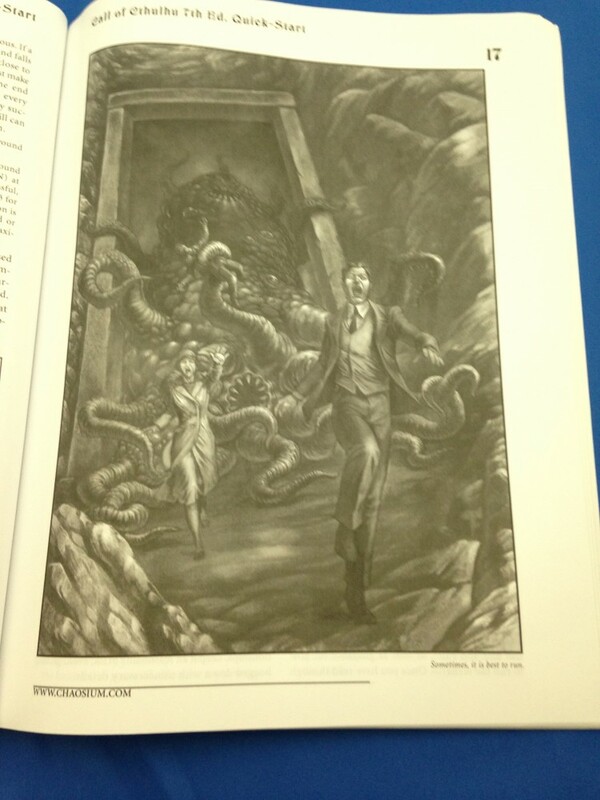 The Call of Cthulhu 7th Edition Quick-Start Rules rulebook is a decent product. I liked it. But, there are some strange circumstances surrounding it that make it harder to recommend. One factor is that these are quick-start rules. Anyone that frequents Free RPG Day has come to expect these products for free. Now, this is a superior quick-start. You can do a fair bit with it, but you are still paying for an incomplete set of rules. Of course, you don’t actually have to pay for them. That’s right. You can download the PDF of the quick-start from Chaosium Inc.’s website for free. If you have access to inexpensive printing or own an e-reader, purchasing a print version of this may not be worth the cash. 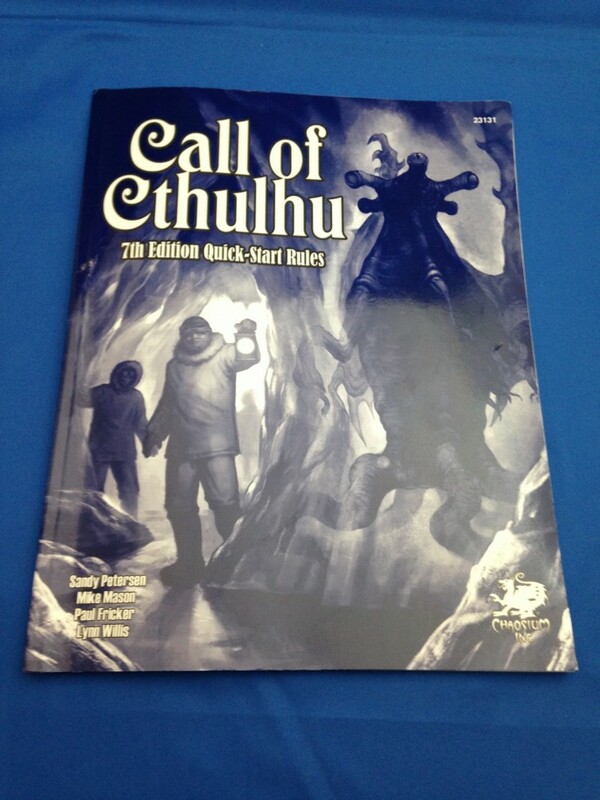 The Call of Cthulhu 7th Edition Quick-Start Rules rulebook is a decent get-you-by product that will introduce you to some of the new rules of 7th Edition CoC. At $9.95 it isn’t cost prohibitive, and I think it stacks up well against other, similar products. However, though I like the book and am happy to support Chaosium, I think most gamers would be better served downloading the free PDF, playing it to see if they like it, and then, if they do, purchasing the complete rules when they are released.